Multi-touch sales cadence software makes it much easier to develop an effective multi-touch sales development rep(sdr) cadence. The email sequence software that includes email automation is an effective way to employ the sales cadence concept for sales prospecting, leading to better sales engagements across the board. It takes more attempts than most people think to convert a suspect into a sales prospect. It can take ten or more touches to actually talk to a prospect for the first time. 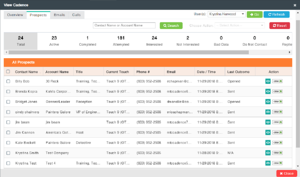 Auto dialers and data enrichment tools can make the process easier and lead to sales prospecting and more sales engagements. If multiple touches are one of the keys to sales success, then the cadence of those touches is critical. Suspects need to be touched on a regular basis in a multitude of ways. Your sales reps and sales teams can be more effective when there are multiple touches happening automatically while they are busy closing business. Whether you are selling a product or service, your sales team needs more prospects every day. They cannot rest on their laurels, but must be constantly employing multi-touch sales development rep(sdr) cadences that leverage email sequence software and email automation for sales prospecting that lead to more sales engagements. 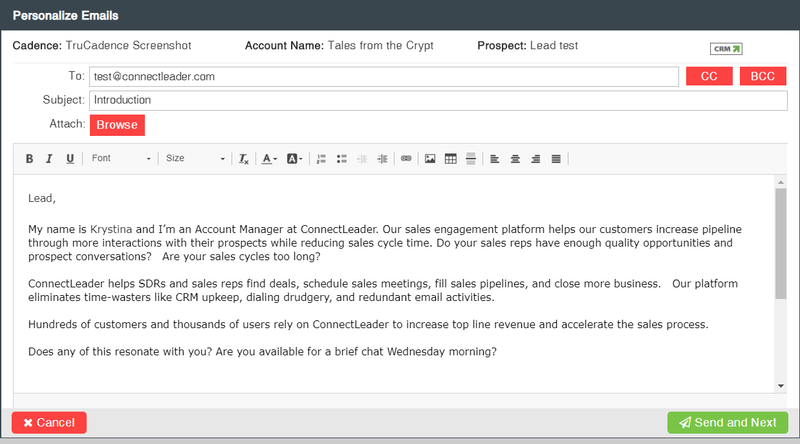 Using email automation programs, sales teams can set up auto response emails timed to touch prospects on a regular basis and as automatic replies and responses to frequently asked questions. Email sequence software makes it easy to generate the right emails at the right point in the sales process. Nearly everyone in the world is now connected via the internet and many people have replaced watching TV with interacting with others via social media. Multi-touch sales development rep(sdr) cadence tools make it easy to automatically reach out to prospects via Facebook, Twitter, Instagram and others. Texting is now a way of life for tech savvy prospects. Your sales team can automate their texting follow-ups to include attachments of sales materials and other information relevant to the specific suspect or prospects. The email sequence software can also be used to automate the cadence of the texting process. Chat lines deployed with your website is a great way to touch live, active prospects. All the text from these conversations can be automatically recorded and forwarded to sales reps for follow up. Because people are all different and seek information about items they want or need, it is your role as a sales professionals to provide your prospective customers with many different ways of learning about your products and services. 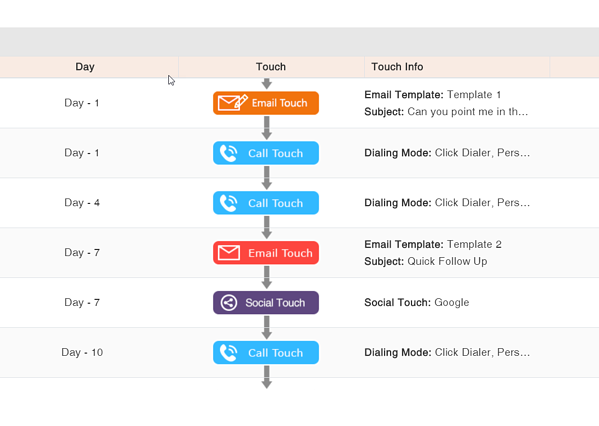 This concept of providing different forms of contact is called multi-touch sales development. Sales people all develop different types of sales rep cadence. Some may use phones as their primary way of engaging prospects while others may use email sequence software. However, as they conduct their sales engagement, the messages and approaches must vary depending on the type of products and services being sold, the types of customers they are targeting and the cost of the products and services being sold. A high priced item to a highly educated target requires an entirely different approach than selling popcorn at the movie theater.